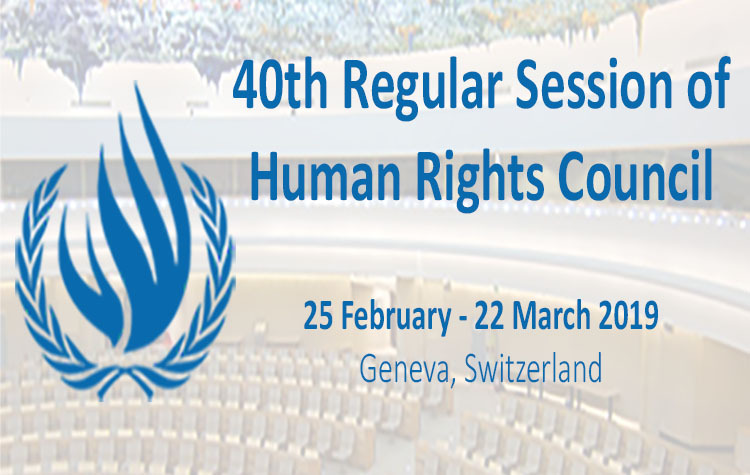 Mr. President, FORUM-ASIA welcomes the Oral Update by the UN High Commissioner for Human Rights. We reiterate his concerns on a number of Asian human rights situations. We share concerns on Burma/Myanmar and call for an end to attacks on civilian populations. We call on this Council to urgently address the human rights and humanitarian catastrophe in the country with the seriousness that it deserves. On Rohingya refugees, Burma/Myanmar’s neighbours should respect the international legal principle of non-refoulment. We echo concern over attacks against journalists and human rights defenders in India including on the recent murder of the outspoken journalist Gauri Lankesh. Similarly we also echo concerns on threats of violence to human rights defenders and journalists in Pakistan and the efforts to restrict civil society. We share concerns on Sri Lanka in relation to lack of progress in essential confidence building measures including the release of military occupied civilian land and the Prevention of Terrorism Act. We echo the need for a clear timeline and benchmarks for the implementation of government commitments under resolution 30/1. We reiterate the call for universal jurisdiction for alleged violations of international human rights law and international humanitarian law and are concerned by the lack of credible government action towards accountability. We share concerns on extrajudicial killings in the Philippines and the lack of due process rights. We call on the Philippines to cooperate and grant full access to UN mechanisms and are deeply concerned by threats against human rights defenders. On Cambodia and Maldives we echo concerns regarding attacks on democratic space ahead of elections next year and call on both governments to immediately restore freedoms of expression, assembly and association. The UN must closely monitor the two countries prior to elections.